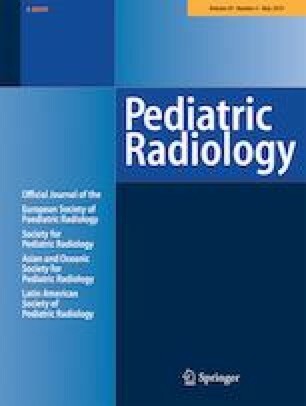 To correlate imaging features of epithelioid sarcoma in children and young adults enrolled in Children’s Oncology Group study ARST0332 with clinical and pathological findings. Fifteen patients (6 males; median age 16.1 years, range 6.5–24.8 years) with epithelioid sarcoma enrolled in ARST0332 had preoperative imaging (MRI, n=10; CT, n=5) that was reviewed by two radiologists who recorded numerous features including presence and percentage of tumor necrosis, presence of surrounding edema, and lymph node involvement. Discrepancies between reviewers were adjudicated by concurrent re-review. We correlated imaging findings with histological assessment of percentage tumor necrosis, proximal- vs. classic-type histology, lymph node involvement and recurrence. Eleven patients (11/15, 73%) had proximal-type histology tumors. Ten of 14 tumors (71%) had imaging evidence of necrosis. Among the nine tumors with imaging and histological estimates of percentage necrosis, agreement was within 30% (in six tumors there was ≤10% difference between pathology and imaging). All 10 tumors imaged with MRI had surrounding edema. 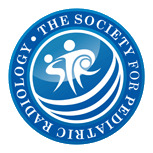 Four patients had biopsy-proven nodal involvement; all had necrotic nodes on imaging. There were four false-positives for nodal involvment by imaging. Twelve patients (12/15, 80%) had recurrences (local only, n=1; local and distant, n=1; distant only, n=10). Proximal-type histology was prevalent in this young cohort with preoperative imaging. Necrosis is common in primary tumors and involved nodes. There is good agreement between histological and imaging estimates of primary tumor necrosis. Surrounding tumor edema is common in this tumor, which is known to spread along fascial planes. The authors thank Anne Speights and Edwina Anderson for their assistance in data collection and management, Fran Laurie and Richard Hanusik for their assistance with imaging processing and transfer from QARC, and Adriane Matthews for administrative assistance. This project was supported by U10CA98543, U10CA98413, U10CA180886, U10CA180899 and St. Baldrick’s Foundation. Dr. Spunt received funding support from the National Cancer Institute/CureSearch as principal investigator of the study.